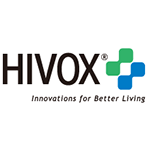 HIVOX BIOTEK INC. was established in 2000 as an inventor and manufacturer of biomedical electronic devices. Based in Taiwan, we produce and market patent medical and healthcare products to improve consumers’ quality of living. At HIVOX, ‘Innovation’ is the key principle of our business operation and the propelling force for our rapid growth. HIVOX’s products originated from the concept of ‘Bioinformatics”, that is, by incorporating life sciences with electronic technology, all our products can detect and analyze many biological properties, enabling users to perform self-testing and self-treatment at home. Our latest products are wearable electronic healthcare & wellness products.